→ Get David Solomon's Magic Bulletin — FREE! 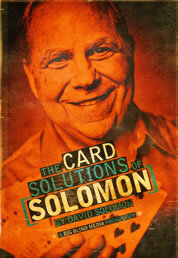 David Solomon is one of the most prolific thinkers in card magic today. From the earliest days at the table with his friend and mentor Ed Marlo, to the more recent days of his Saturday Chicago Sessions with Simon Aronson and John Bannon, David has been a consistent source of card magic discussion, creation and performance. David has created and produced some of today’s finest commercial card effects, including his latest offering, Solomon's Secret Subtleties. Other standouts include Knaves Gone Wild, Thoughts Across, Technicolor Oil and Water, Hocus Poker, Printing on Demand and Technicolor Thunder. 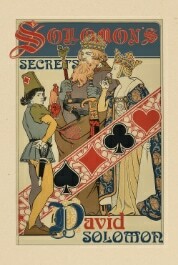 The magical legacy of David is found in his published books— Sessions, Solomon’s Mind and The Wisdom of Solomon — as well as in articles in almost all major magic periodicals, including Marlo’s Magazine, the Hierophant, the Kabbalah, Magic Magazine, Genii Magazine, the Linking Ring, MUM, the New Tops, and more. A much sought-after lecturer, David continues to tour throughout the United States and Europe. 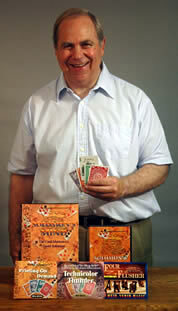 Through his extensive writing, lecturing and mentoring of new magicians, David’s work is being performed throughout the world, and his original contribution to card magic has had an impact among hundreds of magic aficionados. New DVD with 14 Tricks! Sleights-of-Hand © 2009-2015 by DAVID SOLOMON. Site Design Magic by LISA FIRKE.